Anytime it’s warm out, that means ants. In the house, on the porch, and practically around every corner I turn, I find ants crawling around. They follow scent trails leading to crumbs and other food sources. Naturally, where there is one ant, you will find another. What’s wrong with commercial ant repellents? Since ants can live both inside and outside the home, it is really important to choose a repellent that is natural AND effective. 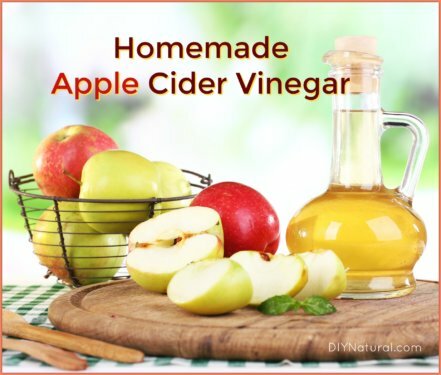 Many store bought varieties are not only toxic, but they are dangerous to have around children and pets. Not to mention your eating areas or living space. Neonicotinoids – A toxic chemical that can be absorbed by the skin. Avermectin – This chemical is toxic to the nervous system and during pregnancy. Organophosphates and carbamate – These are toxic to children, neurotoxic, and possible carcinogens. If you’ve tried all these tips and you are still getting ants, I have a great ant repellent recipe that will help dissolve any food trails. My recipe is super easy and it uses only two essential oils: clove bud essential oil and peppermint essential oil. Clove bud essential oil is spicy, strong, and warming. It is effective against ants because its strong scent masks the smell of the food trail. I’ve even read accounts where people claim that clove bud essential oil kills ants on contact. Clove bud essential oil is very potent and feels warm when applied to the skin, so I definitely believe that it could kill ants on contact. Also, many commercial natural insect repellents include clove bud essential oil as one of their main active ingredients. So I say skip the middle man and make your own. Note: Caution should always be used when working with clove bud essential oil as it is not suitable for pregnant women or those suffering from liver disease. In these cases, have someone else do the mixing and spraying for you. Peppermint essential oil is also very strong smelling. It is common knowledge that peppermint essential oil is great for ridding the home of ants and other pests. Peppermint essential oil is also cooling and stimulating. Many people will simply soak a cotton ball in peppermint essential oil and place around the house to prevent ants. This also works well to prevent mice and as a substitute for mothballs in your dresser. Mix essential oils and water in a medium spray bottle. Spray baseboards, porches, and anywhere you see ants with the solution. Remember to always shake the bottle before use. 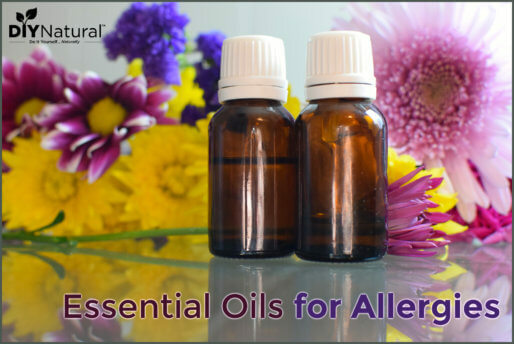 Essential oils will separate between uses. I always use a dark colored spray bottle to prevent the oils from oxidizing, but your oils will stay fine if you store your spray bottle in a dark, cool place in between uses. Do not use this spray on skin because the oils are very strong and could cause burning or tingling. If you are looking for a natural alternative to combat bugs, learn How to Make a Homemade Bug Repellent Cream for your next cookout or camping trip. Want more information on dealing with ants in your home? 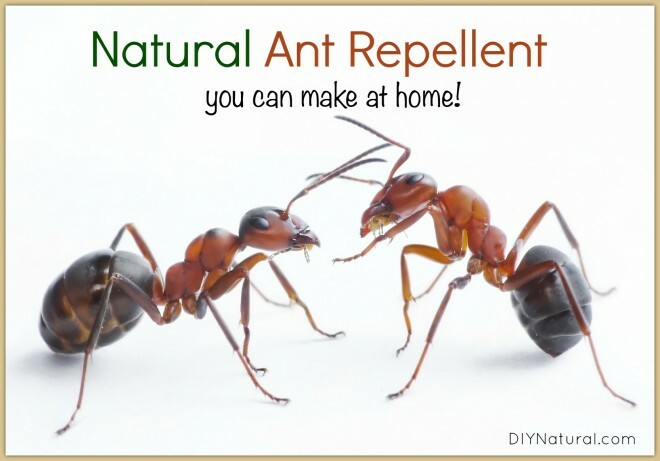 Check out more of our tips on How to Get Rid of Ants Naturally. Cinnamon powder is another great ant repeller. We had ants coming up the legs of our dining table one year but when we sprinkled cinnamon around the four table legs the ants disappeared completely. I have used peppermint essential oil also in natural mosquito repellents, and it works as a remedy for mosquito bites. This is awesome. 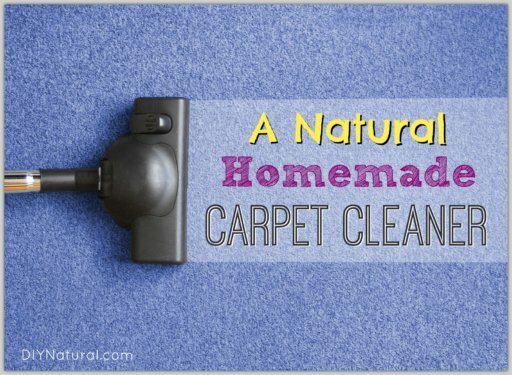 I’ve been looking for ways to eliminate chemicals in our home. We also use essential oils, so I’m looking forward to trying this. Thank you for sharing! When I had ants, I made a spray with 1 cup water, 1 tablespoon olive oil, and 1 teaspoon of liquid dish soap. It is incredibly effective even on other bugs. Any idea how this would affect honey bees? I have ants around my hives & would love to be rid of them! Dawn, I would assume they would be safe as clove and peppermint herbs are naturally pollinated by honey bees, but since they are so concentrated these oils may actually repel your honey bees. You could try cutting the oils by half to see if that would still solve your ant problem without hurting your bees or honey production. Best wishes! I had no idea, Brenda! I use the brands mentioned in the article and they work well for me, but I’ll have to look into the LorAnn oils. Just wondering if those essential oils are safe to use around cats and dogs. Hi Shawn, Peppermint and Clove are definitely safe for dogs and cats. In fact, many natural flea and tick shampoos include them. However, Clove Oil is not safe for use around pregnant animals (just as for pregnant women, because it is a uterine stimulant). Thanks for that information. I have cats and wouldn’t want to use anything that could potentially harm them in any way.